We are made up of memories. People we've known. Places we've been. Things we've eaten. It's all a big collection of memories. And it has been shown that location can alter your memories, those you can recollect, and the things that happened in those memories. In Nibiru, a new sci-fi RPG up on Kickstarter, that is taken to the extreme. Finding themselves in a huge space station that they have no idea why it exists, the players must figure out what they are, what's happening, and hopefully figure out where things are going. 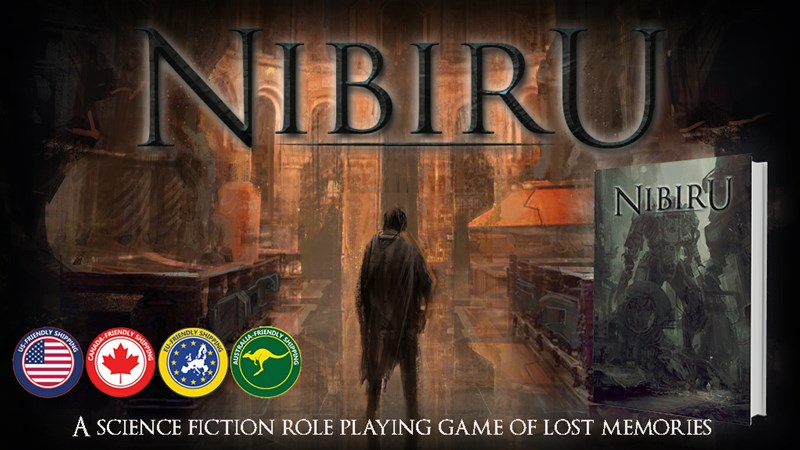 Nibiru is a science fiction tabletop role playing game set in an ominous space station. It’s focused around the themes of memory, nature and artificiality, and features a rich world (inspired by Ancient Mesopotamia) as well as a quick-to-learn system that builds each player's persona based on the retelling of their pasts. Nibiru is a space station submerged in the ocean of debris orbiting the Star of Fomalhaut. A monstrous, steel-clad vulture feeding off of a collection of unborn planets, Nibiru's purpose is unknown—at least, for those that reside in it. Near the Core of this skyless world, a group of enclosed city-states harbors the majority of the human population. The characters portrayed by the players are different from the rest of the peoples of Nibiru. They come from strange places called Habitats, each functioning as an archetype that changes not just the backdrop of your memories, but the mechanics of how you recall them. From Dreamlanders—people that only seem to remember the lives of other individuals—to Vagabonds of the Machine—who share the memories prompted by a sentience-inducing computer virus—each of the five habitats holds mysteries of their own, as well as unique mechanics that make them all the more exciting to play. The campaign is quickly closing in on its funding goal with 26 days left to go.